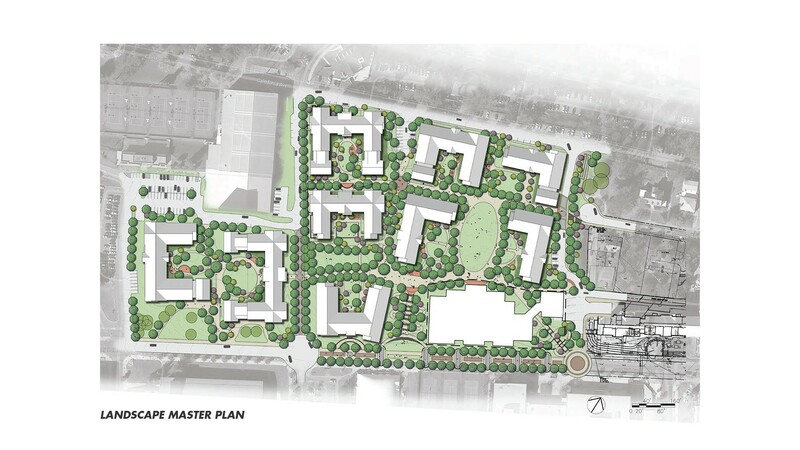 The design of the new housing village at The University of Tennessee provides nearly 2,700 new student beds and a new dining hall in approximately 754,000 gross sq ft on 15.5 acres. The facility will help attract and retain students as UT continues towards it’s goal of becoming a top 25 Public Research Facility. 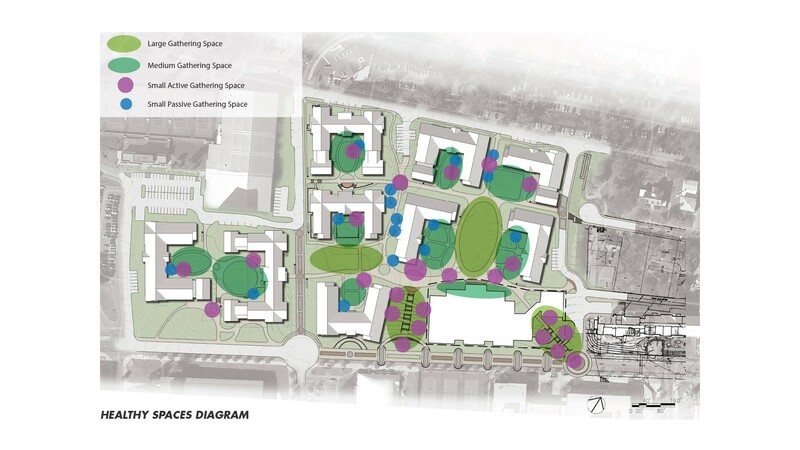 Outdoor courtyard spaces connect the new development with the campus through an extension of an existing pedestrian mall. With a $260 million project budget, this is the largest capital improvement projects in UT’s history and will be constructed in four phases. The project offers CRJA-IBI Group the opportunity to plan and design exterior improvements which follow the guiding principles codified within the Campus Landscape Vision document, also produced by CRJA-IBI Group. CRJA-IBI Group will use three principals in guiding the landscape architectural design: 1) Adapt planning principles of Collegiate Gothic Architecture; 2) Follow the principals of the CLVSS for building siting, campus connections, campus spaces, planting, and sustainability; 3) Incorporate design strategies to alleviate the top negative impacts to student health while promoting student well-being.